LeEco Le Max Pro features a Quad Core Snapdragon 820 Kyro CPU, 4 GB Ram, 6.33 Inch Quad HD Edge to Edge display. If you compare LeEco Le Max Pro with Samsung Galaxy S7 you can see that it has almost similar specs for half the price. (discussed below). Talking about the design, it has a aluminium body combined with glass. It has a bezel-less (edge to edge) display. The fingerprint sensor is situated just below the rear camera which is a 21 MP sensor with Optical Image Stabilization & phase detection auto focus. Talking about the front camera which is 4 MP wide angle lens. 21 MP (f/2.0 aperture) Rear camera with OIS (optical image stabilization), phase detection auto focus & 2k Video support. And 4 MP Front camera with wide angle lens. Fast Battery Charging: Quick Charge 3.0 (83% in 30 Minutes). CPU/GPU Quad Core CPU. (2.2 GHz Dual-core Kyro CPU & 1.6 GHz Dual-core Kyro). Qualcomm Snapdragon 820. | GPU Adreno 530. DISPLAY 6.33 Inch Quad H.D IPS Display. Resolution 1440 x 2560 pixels. (~464 p.p.i pixel density). CAMERA REAR 21 MP (f/2.0 aperture). With Phase detection auto focus, optical image stabilization (OIS), and LED flash. | Features: Geo-tagging, touch focus, face/smile detection, panorama, H.D.R. | Video Features: 2160 p@30 fps (2 K Recording), 1080 p@ 60 fps, 720 p@ 240 fps. H.D.R recording | FRONT/SELFIE CAMERA 4 MP Wide Angle Lens. FEATURES Fingerprint sensor. | Fast Battery Charging: Quick Charge 3.0 (83% in 30 Minutes). | Quad H.D Bezel-less Display. | Corning Gorilla Glass. | Rear camera with OIS. | 4 G Support. SENSORS Fingerprint sensor, Accelerometer, gyro, proximity, compass. 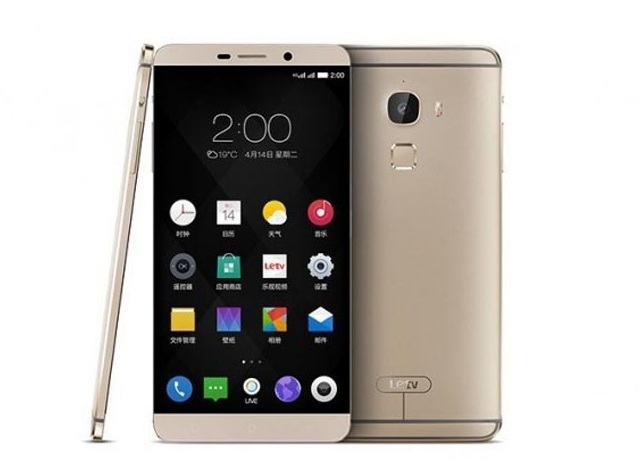 The Le Max Pro is now available in China for a price tag of RMB 1,999 (Equivalent to around 20,590 Rupees in India). Unfortunately it is not available in India as of now. But we can expect it to launch in India towards the end of 1st Quarter for a expected price of 21,000 Rupees in India.